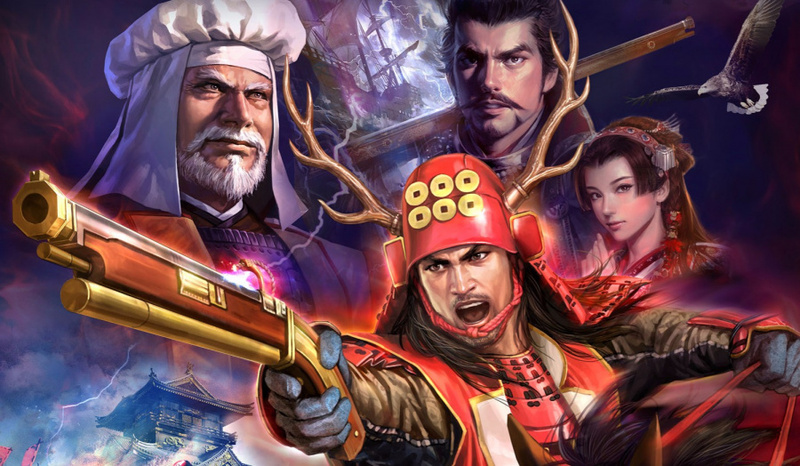 Nintendo may want its third party supporters to keep their mouths shut regarding Switch software, but that hasn't dissuaded Koei Tecmo from confirming that it is bringing its popular Nobunaga's Ambition series to the new console. The news was revealed by general producer Kou Shibusawa during a Historical Simulation Game Day livestream, but no other details were forthcoming. The first title in the series was released for Japanese home computers way back in 1983, and since then we've seen versions on the Famicom, SNES, Genesis, Game Boy, PC Engine, Nintendo DS, Nintendo 3DS and PSP. The latest entry, Nobunaga's Ambition: Sphere of Influence – Ascension, launched on the PS4 and PC in west recently. Never played any of the series, but its good news for the Switch! more games the better! Winning in that game, requires antlers. I say Cowabunga to Nobunaga. of the koei-tecmo games, i was kinda hoping for the musou games. thanks to hyrule warriors and legends, i got into them in a big way. hyrule warriors legends 2? dead or alvie last round as well. bring all the dlc, but don't require the hundreds of dollars to get it. Musou Stars would be a fun Koei Tecmo game to see put on the Switch, and since Nintendo now co-owns the Fatal Frame IP with them, they could add some Camera Obscura wielder(s) to the roster for its Switch version. @Jamotello seeing as how the wiiu got three musou game I think it's a safe bet. They should make a Solomon's Switch. I would give anything for another Solomon's Key game. I never could get into those Nobunaga's Ambition series. I guess I could not relate or get past the names. I'm hoping unlike the last Romance of the Three Kingdoms on Wii U it gets an English release and comes to Australia. I'm a big fan of the old KOEI historical simulation series so I'm mighty chuffed at this news. I'm balking at the £50 asking price on Steam but I'd happily pay for teh opportunity to play on the go and not be anchored to my PC. @Sabrewing Hey! Is that true? Nintendo co-own fatal frame?? I just bought the new one. But I'm willing to triple dip. @rccASIA Since the fourth installment, yes. Great series! Really love it! @DrRandle so it's only good with Pokémon? Although I can easily live with Hyrule Warriors 2 or Star Fox Warriors. I never got into this series though I could appreciate the type of game it was. I wonder what the newest version will even "be" like? It seems like a game that could benefit from touchscreen controls... Switch touchscreen confirmed? I've never heard of this series before but just looked up the trailer and it looks really cool. I'd like an Uncharted Waters game. New Horizons got me through a long stint of Wii U drought! @faint Honestly, I've never played anything on the series out side of Pokemon Conquest, which of course, was an offshoot. But much like Hyrule Heroes, I just don't have much interest in the story and world they're creating with those games. My interest starts to come into play when they are using a world I do like. Granted, it's kind of easy when it's a world I already am heavily invested into (Pokemon or Zelda), but it's still (super?) effective. In any case, if Pokemon Conquest was some dumbing down of the series, which I could totally imagine, I was still just fine with it. I had a great time with that game, and I've been wanting a new one ever since. BUT! That's me. I'm totally happy for people who are getting a new one of these games! And I welcome anything on Switch. But for me? Gimme dem 'monz. @Anti-Matter - They have one for DS? I thought it was on gameboy color. @rccASIA It's why Mask of Lunar Eclipse, Spirit Camera, the Wiimake of Crimson Butterfly, and Maiden of Black Water have been Nintendo-exclusive, as well as having their Smash Bros. trophies. It's very similar to Romance of the Three Kingdoms, also from KT. I bought both not too long ago on PS4. It's hard to find good games in the vein of Civilization. Which really is kind of different than these two games but you know what I mean, that sort of macro level managing of countries or territories, politics, etc. These are good macro level strategy games though. Lots of history too. Trailer looks great. Last game from series that i have played was for NES. Yup. Monster Farm (Japan) / Monster Rancher (USA) has appeared on NDS. But unfortunately, only 2 for Japan version and only 1 for USA version (USA version called Monster Rancher DS, taken from Monster Farm 2 DS Japan version). Some revival monster such as Gali, Phoenix, etc returned BUT they have NO combination with other monster except themself + -ish type and Rare type. Check on Youtube for more details. Day one purchase for switch. Love the koei simulation series. The vc needs to have the snes three kingdoms 2 though. @JaxonH Good to know it's good, I'll wait for switch version to try it out cause i like to support nintendo. On top of that I'm still busy as can be in elite dangerous, lol. Nice will check this game out. I would love Koei to make a NES Historical Game collection for the 3ds including Romance of Three Kingdoms 1 and 2, L'Emporeur (Napolean) Bandit Kings of Ancient China and Uncharted Waters (first game). Or just port these to the vc. @JaxonH Thanks for the heads up. I spend $30 every 2 months to have the newspaper delivered daily pretty much just so I can have the Target ad delivered a day early on Saturday so I know what will be on sale. And in case you haven't seen the flyer, B2G1 was on the front page. My kids and I have been debating what games to pick up what w/ Santa coming in 2 months and all. They are too old to really believe in Santa, but they still like getting games for Christmas for free rather than paying for them themselves. Didn't know about any of those discounted prices though. Well I did know a lot of Wii U games have been on red sticker half-price clearance for about 2 months but only games I had - Bayoentta, XCX, Hyrule Warriros. Of course I am still waiting on BF sales to get leaked. The UK has a nice PS4 Slim bundle w/ U4, R&C. Still no sign of a Pro bundle, I suppose Sony is really going to ask for $400 for a console and no game. Which means I'm buying a Slim. Which saves me $800 on a 4k HDR tv for a few more years. I'll let ya know what we wind up picking up, has to be something. I'd pick up TP HD for half price just fo that amiibo, which I keep waiting to go on sale separtly b/c it's useful in Zelda U, but haven't seen it in the US yet. I still don't think they can make it work in BotW and not sell it by myself, that's too mean even for Reggie. you can't require people to buy a $60 game just to get an amiibo. I don't think. It will probably sell next to the other BotW amiibo in March.